These Honora classically styled 7-7.5mm freshwater cultured pearl studs feature a prong-set diamond accent. The posts are 14K yellow gold, and push backs ensure your comfort as well as the security of the pretty pair. 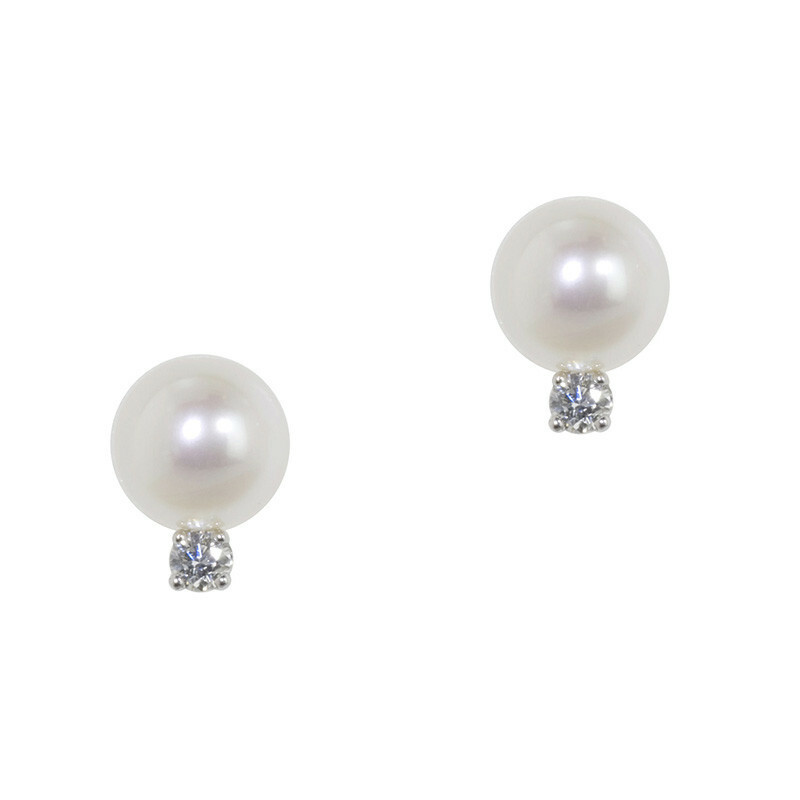 These pearl and diamond stud earrings from Honora have a dazzle that you'll find delightful.